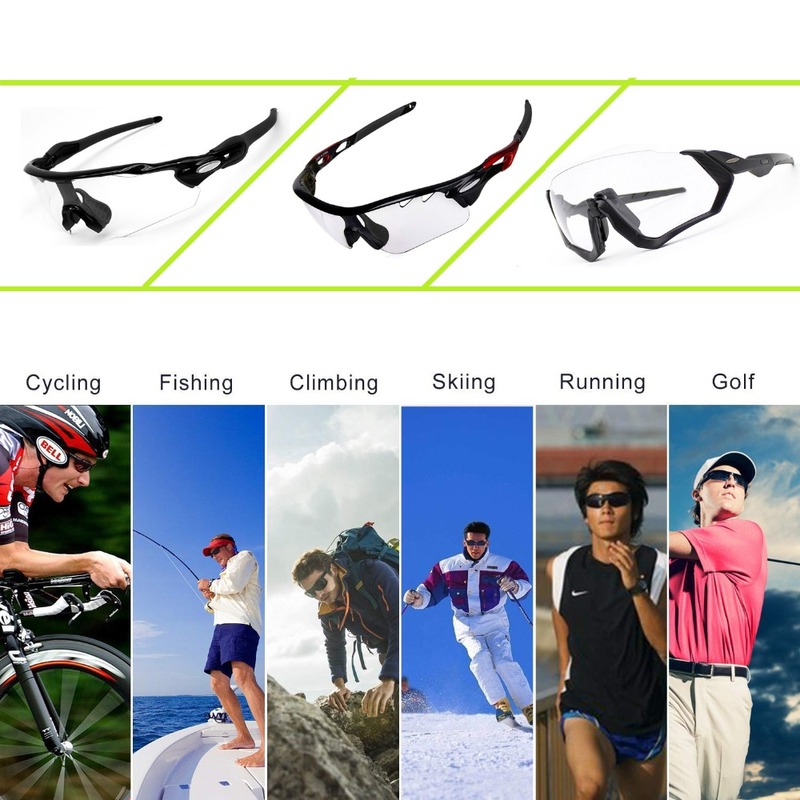 Photochromic sunglasses for cycling and outdoor sports with self-adjustable lens color. 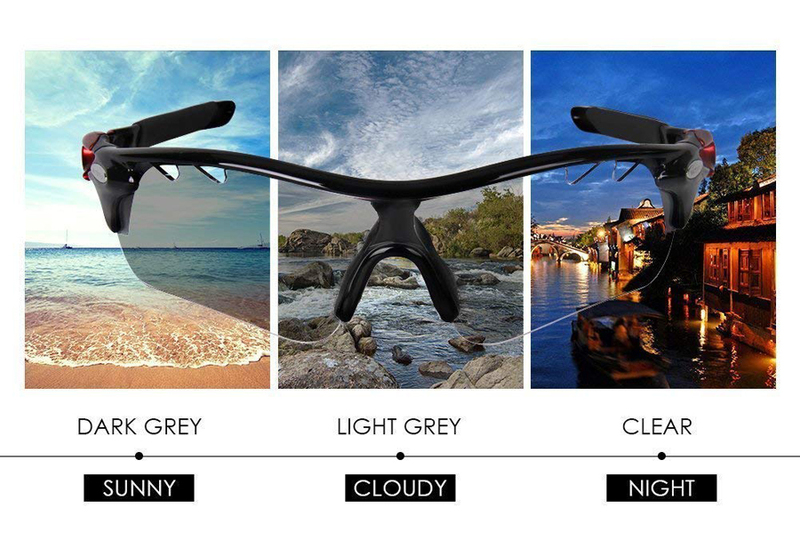 The smart lens can adjust its color to different conditions: getting deeper in highlight outdoors, lighter indoors, transparent in the evening, effectively making the scenery more clear and soft and protecting your eyes perfectly. 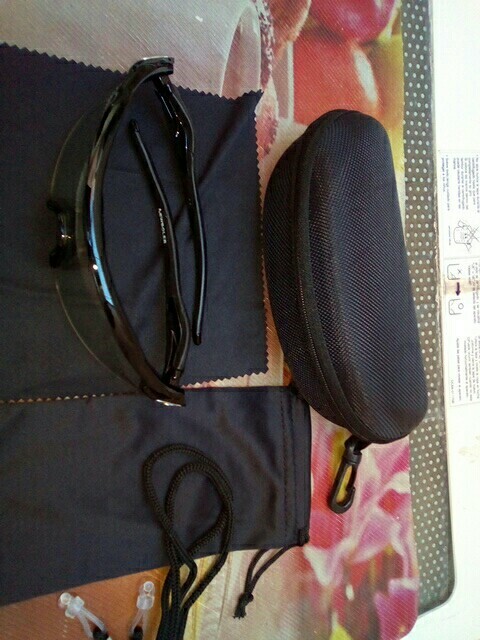 Package: 1*glasses frame 1 *piece of Photochromatic lenses (transparent) 1 *glasses rope 1 *glasses cloth 1 *glasses bag (option) 1 *glasses box (option). 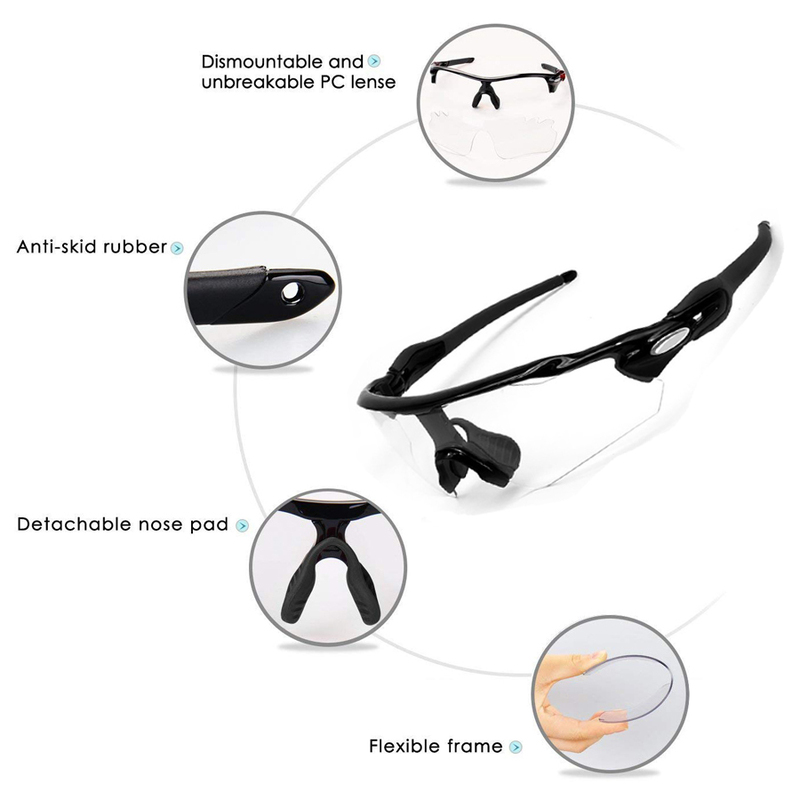 Detachable Lens: The lens can be disassembled and changed easily for quick and convenient cleaning, and ultra-light and portable for outdoors. 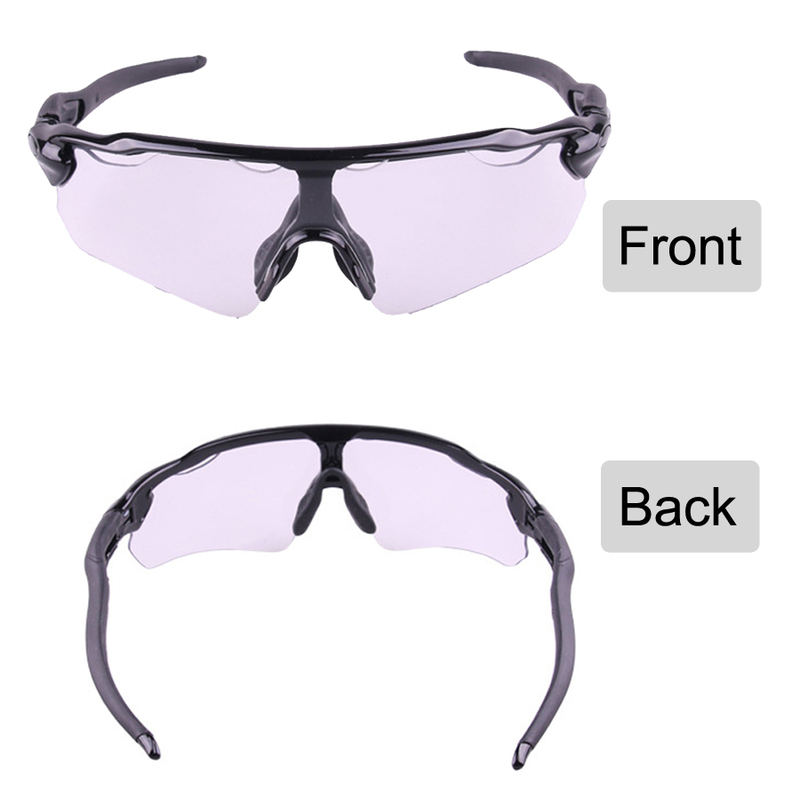 Impact Resistant & UV Protection – The PC lenses are scratch resistant and blast-proof, with strong anti-impact capacity and UV protection feature, you’ll never worry the lens broken or eyes hurt. 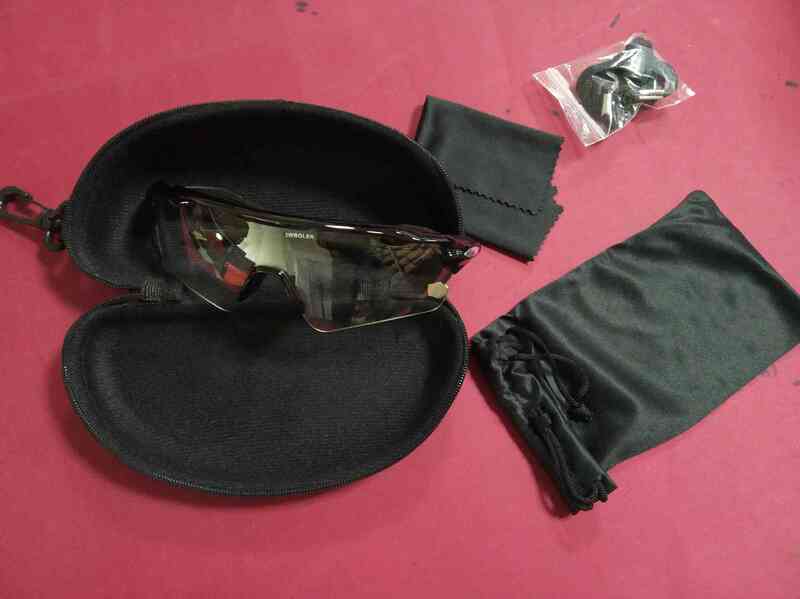 Ultra-light & Portable: The net weight is only 0.07lb./30g, ultra-light as a piece of feather, equipped with a glasses case in the package, it is portable for outdoors. 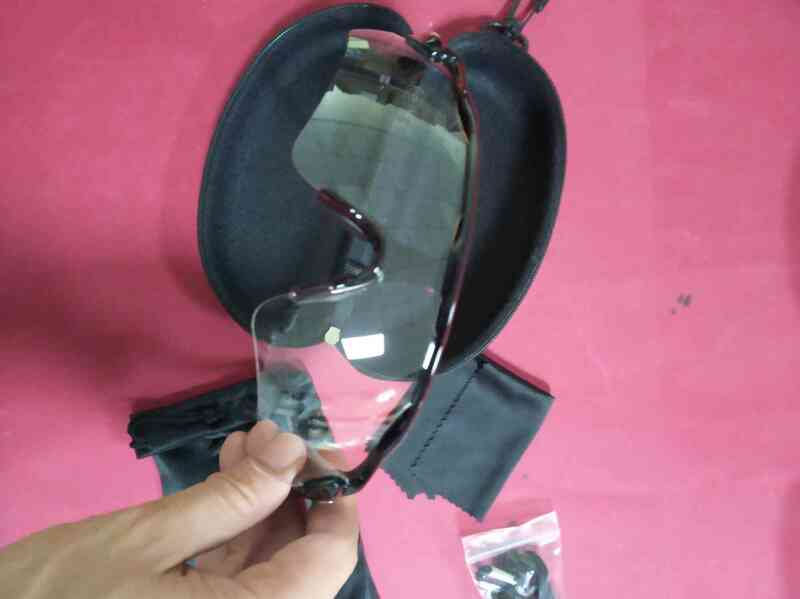 There are 3 modes of photochromic lens glasses , with glasses bag or box optional . 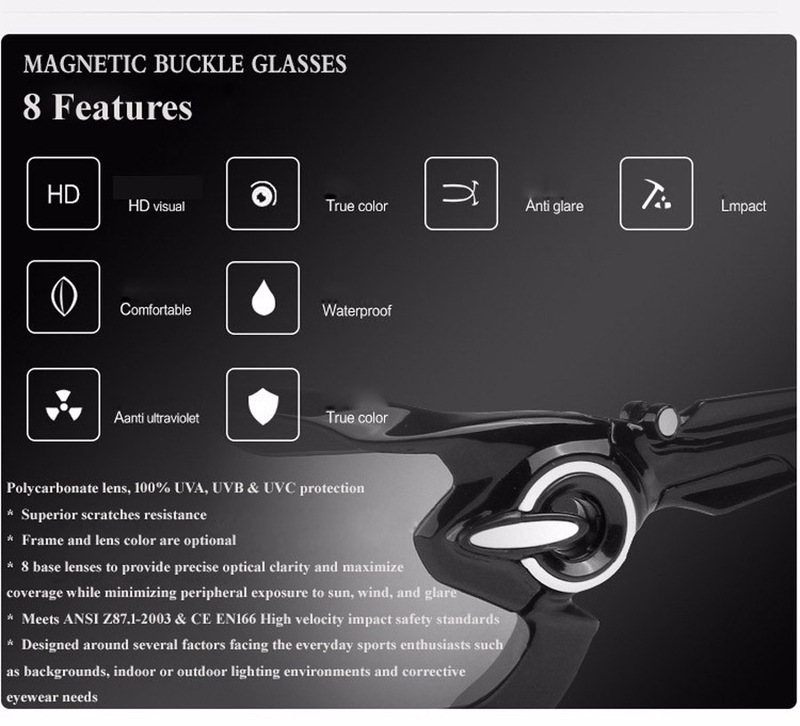 Everything is fine, works only under ultraviolet light (dark not black, притонированные become), light bulbs or flashlight phone dark will not be aware. 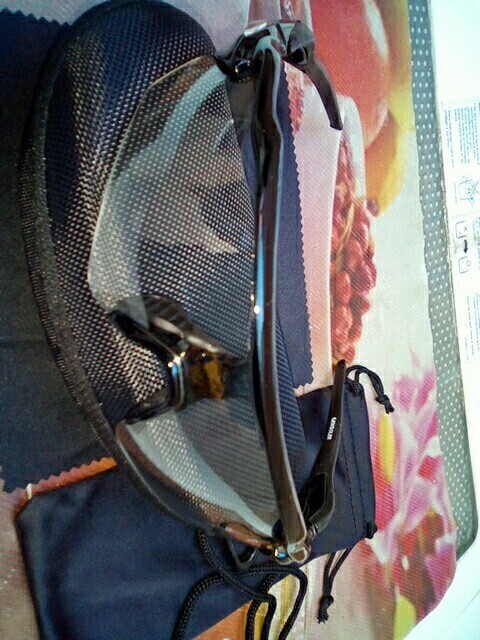 Kit just fine and super quality, and the price is chic. Thanks to the store sent quickly.